Trying to wire up motor/heater controls. This is for the driver's side. Passenger side is completely different. Have looked through service manuals, but obviously there is not one specifically for the seat. Even in the sedan seat, the colors change at the floor harness to seat harness plug. 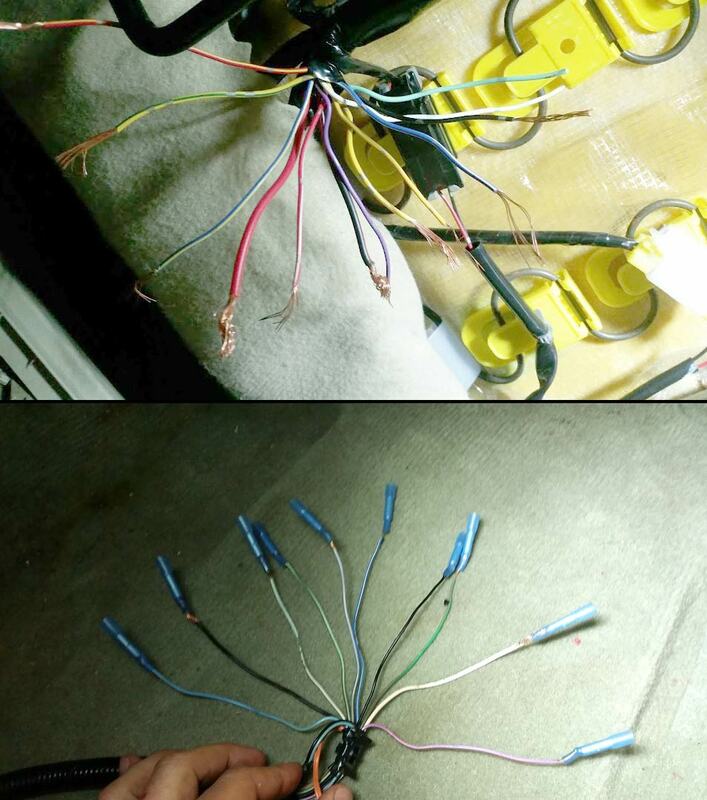 Keep in mind, the coupe seat has MORE wires, so some of those will be unused. The coupe has a one-touch auto-forward for back-seat passengers. Thanks in advance, hope to make this a sticky. Oh, and passenger seat is DIFFERENT! But we'll start with just this side. BUMP ... Any ideas from people who have done this swap? Anyone start me off with power and ground? Well, I figured out power to all the seat motors. Not sure if heaters working yet, but I've now got '06 coupe seats into my '04 Sedan. For any future Google searchers, hope that is helpful. BTW seats WAY more supportive. Other than the positive and negative, what are to other 2 wires. I'm currently doing the swaps and my passenger seat in my sedan is mechanical how would I run power to that a coupe power seat?